Sneyders does not only supply stand-alone filling machines and capping machines, but also provides an all-in-one solution for complete filling lines. 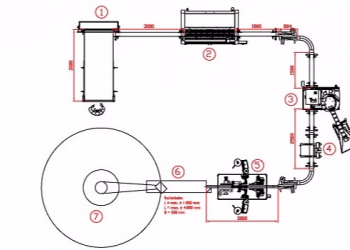 This line can consist of a setup table, bottle unscramblers, conveyor belts, filling machines, capping machines, labelling machines, carton packing machines and palletisers. Besides the products we also offer our expertise. Our technical staff installs and starts up the machines, trains the operators and technicians and expertly follows up the production. Our technicians design and install a filling line adjusted to your needs. They know how to operate and maintain our machines, as well as the bought-in machines. No need to juggle tasks for one project between several partners, as Sneyders is ultimately responsible for the entire project. From timing to line speed and transition between the machines: we’re on it. Do you want your company to be able to fill products at speeds of 20 up to 100 bottles per minute? Contact Sneyders today and we will provide a custom solution.